The United States Centers for Disease Control (CDC) has said the salads have been confirmed as the cause of one death in the state of Michigan and the hospitalization of a dozen others across the United States. The cases of hospitalization have occurred in several states, including the Commonwealth of Massachusetts. One of the listeria victims was as young as three years old and one was as old as 83. This salad mix is processed and package by Dole for products labeled with their brand, as well as several store brand packages. Dole and the CDC have said that these packages have a number below the date and all start with the letter “A.” The company is saying that anyone who has purchased these salad mix packages should not eat them and discard them immediately. One of the major concerns of the CDC is people getting sick as a result of cross contamination. 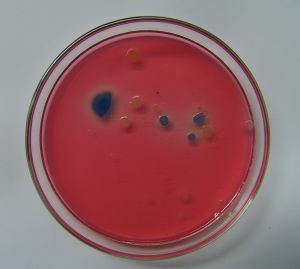 This is when a foodborne virus or bacteria is allowed to come into contact with other substances, and the listeria can be spread to other food items or utensils. For this reason, they are urging all customers who purchased the contaminated salad mix to not only throw it way, but also wash and disinfect any surface in the refrigerator that may have come in contact with the salad mix, as well as cutting boards, utensils, and countertops. As our Boston food poisoning injury attorneys have seen in other cases, listeria mostly harms those who are older, younger, pregnant, or have a compromised immune system. If you are infected with listeria, you will likely feel sore from muscle aches, have a fever, and have gastrointestinal issues; however, you will not necessarily have all of these symptoms. Listeria has also been shown to cause miscarriages, premature delivery, serious injury or death in newborns, and even stillbirth. It should be noted that, as of the time of this article, authorities have not said why or how the listeria got into the salad, and there have been no allegations that Dole was negligent in connection with these cases of listeria illness. In a products liability lawsuit involving food contamination that occurred at a production center, as opposed to a restaurant, the case is generally filed under a theory of negligence. The question is how the toxin was able to make its way into a consumer food product and how it was not detected before the product was shipped. In some cases, the company may do everything right, and the food still got contaminated. However, in many of these cases, workers failed to properly clean or inspect certain equipment, which was the reason for the contamination. There may also have been a problem with the safety testing and quality control process that should have caught the problem before people became sick.